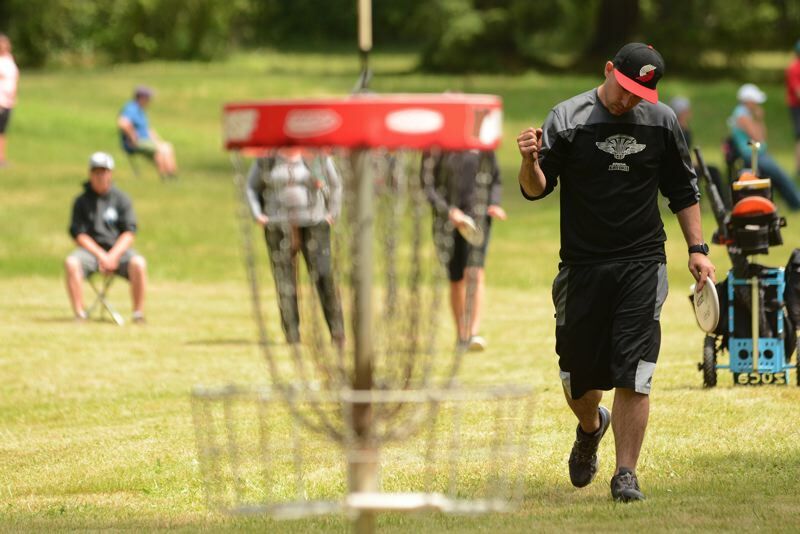 ESTACADA — Simon Lizotte out of Bremen, Germany, caged 10 birdies in Saturday's third round to move to the top of the leaderboard with a 159 score at the Beaver State Fling — this weekend's stop on the Pro Disc Golf Associaton tour. Eagle McMahan of Boulder, Colo., earned a spot in the final foursome for Sunday, sitting one swing back after gaining two on Lizotte on the par-3, 15th hole Saturday. Second-round leader Drew Gibson out of Fair Oaks, Calif., is tied for second place despite settling for noting better than a par over Saturday's last 10 cages. t2. Vanessa Van Dyken, Fla.
• Paige Pierce out of Plane, Tex., led the women's tourney with a 186 score — on stroke ahead of Vanessa Van Dyken from Latoinen, Fla. and Valarie Jenkins out of Bend. The lead groups for the men's and women's amateur events take to the course at 8:20 a.m. Sunday, while the leaders in the pro tourneys start their final rounds at 12:30 p.m. at Milo McIver Park in Estacada. Drew Gibson out of Fair Oaks, Calif., is the leader at the halfway pole at the Beaver State Fling hosted by McIver Park in Estacada — this weekend's stop on the Pro Disc Golf Association tour. Gibson shot a 9-under-par 52 in the morning's opening round under sunny skies, then did one shot better when the rains came in the afternoon. He ended Friday's action with a 103 tally, putting him three flings ahead of the field after two rounds. He birdied 21 of the 36 (.583) holes, highlighted by a string of five straight in the morning session. Tour points leader and reigning two-time Beaver State champion Ricky Wysocki out of Fort Mill, South Carolina, is tied for 10th six throws back with a 109. He highlighted his day late in the morning round with a string of five straight birdies, consistently curving his disc through the trees to set up clear views of the cage. 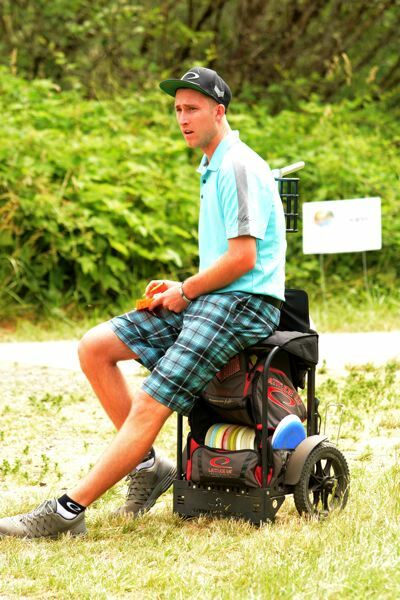 "I was able to get off the tee well and those birdies were crucial," Wysocki said. "I play better when I know I'm near the lead, and that set kept me in it with a chance for the win." The par-3, 18th hole on the westside course gave players the most trouble Friday, landing three times as many bogeys as birdies. "The angle is really tight around the corner, and you have to challenge the bushes to have a chance at the cage," Wysocki said. "It's a really good risk-reward hole." Local player Scott Withers out of Albany was one of five players to birdie the hole, hitting the chains from 20 yards out to wrap up his morning round. "It gets some momentum going makes me feel ready to keep attacking," Withers said. "We've all looked at the forecast and know we are going to get wet at some point, so it's great to get those birdies now." Withers birdied the first two holes and found himself in the top 10 on the leaderboard. "I've put a lot of practice in and threw some good shots early today," he said. He finished with 14 birdies on Friday and is tied for 30th place. Paul McBeth, another of the top-tier tour players, overtook 18 players to move into a tie for second place after shooting a 10-under par 51 in the afternoon's second round. He eagled the par-4, ninth hole then strung together seven consecutive birdies to soar up the leaderboard. • Catrina Allen out of Madison, Tenn., leads the women's pro field by two throws with a 121 score. Valarie Jenkins out of Bend is in third place three flings off the lead. The amateur tournaments begin at 7 a.m. Saturday, while the pros return to the course at 11 a.m. for the third round. The final round for the amateurs begins at 7 a.m. Sunday, while the pros final rounds begin at 11 a.m. Sunday. View photos from Friday's first round of the pro men's tournament at davidball.smugmug.com.